In her column this week, Caitlin talks about a recent essential oils class she attended at the Sawyer House in downtown Monroe. Lately, my new thing has been experimenting with essential oils. It all started when my boyfriend bought me an essential oils diffuser for Christmas, which was completely unexpected. The diffuser wasn’t something I’d asked for — I knew practically nothing about essential oils — and Kyle isn’t usually one to go off script. But his heart was in a good place. Apparently, he’d done some research and thought a diffuser could help my headaches. I’ve always suffered from chronic tension headaches that most recommended doses of ibuprofen just won’t heal, and I’d been going through a particularly bad bout of them at the time. Along with the diffuser he gifted a vial lavender oil, along with bath salts and bubble bath infused with the lavender. I’d known about the calming, anxiety-reducing effects of lavender, so I was eager to see if it would help. Let’s just say that now I’m almost constantly diffusing lavender throughout the house, aiming to fill the space with an abundant sense of calm and relaxation. I’ve tried researching other blends online and through Pinterest, but never quite took the initiative to try something new. That is, until my mom heard about monthly “make and take” essential oils classes offered at the historic Sawyer House in downtown Monroe. 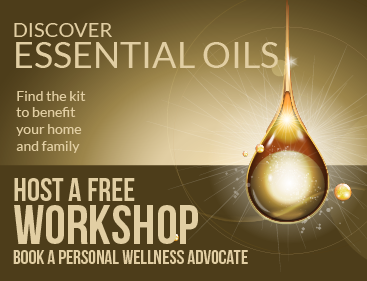 Headed by Val Lancaster of White Pine Essentials, a Monroe resident who promotes the use of essential oils as an alternative to some medications and chemicals, the classes are open to the public and generally cost just about $5 per essential oil blend. So my mom and I decided to give it a try. She’d had some interest in oils, too, even trying some of her own blends before. We attended a special class earlier this month — one that partnered with another local group called “I Love Stones” — to make three essential oil rollers that were combined with accompanying crystals. The first blend was a combination of frankincense, lemon and sandalwood oils meant to be rolled over the forehead and temples to improve cognition. With my history of headaches, I was excited about that one. Next was a blend of eucalyptus, lime and cardamom meant to be rolled across the chest and sternum to promote feelings of joy, love and inner peace. The last one was a combination of cassia, ginger and grapefruit meant to be rolled over the midsection with a goal of improving confidence and self-esteem. My mom and I had a blast, smelling each of the individual oils, creating our blends and just spending time together. But I don’t think you need to be in love with oils to enjoy a class like this. What I got out of the experience — surpassing my new knowledge of delicate essential oil blends — were feelings of empowerment. What’s more encouraging than sitting among a group of women who, like yourself, aim to introduce a bit more balance into their lives? While the classes are open to both men and women, my session was attended solely by women, and I think that added the inclusive and calming nature of the experience. Or maybe it was just the room’s large lavender oil diffuser intoxicating us with soothing, flowery smells. I think I’ll be back either way. For more information, visit Facebook.com/whitepineessentials. Contact Caitlin at [email protected] or 240-5785. Next articleHow Well Do Workplace Wellness Programs Work?